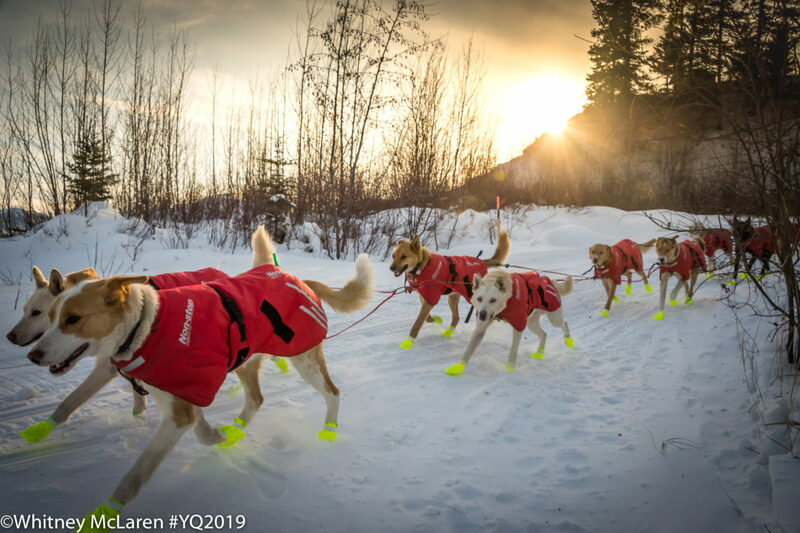 The City of Fairbanks should expect to gain more furry residents and some very grateful mushers as the first teams of the Yukon Quest are expected to complete the 1,000-mile sled dog race this afternoon (Monday). As of 9am Monday, Brent Sass is maintaining a strong lead, less than 30 miles from Fairbanks, with his full team of 14 dogs. Sass left the final checkpoint at Two Rivers at 2:53 Monday morning and could be in Fairbanks as early as noon. Brent Sass told APRN that he credits his lead to his decision to blast through Central and go straight over Eagle Summit, which is known for some of its steep climbs. The top of the leaderboard hasn’t changed much since the race began on February 2. Allen Moore, Hans Gatt, and Michelle Phillips still round out the top four positions, with Phillips leaving Two Rivers at 6:03 this morning. That is the race’s final checkpoint and features a mandatory 8-hour layover. From there, it is 73 miles to Fairbanks. The leaderboard shows Matt Hall in position five, checking into Two Rivers at 6:41 this morning, chased closely by Paige Drobny, who checked in just seven minutes later. Unofficial GPS tracker results show Hans Gatt and Allen Moore vying in and out of position two as they reach the race’s end. Holding quite steady in the middle of the pack is Kaktovik rookie Martin Reitan. Reitan and his team of 13 dogs have about 30 miles to Central. For more on the final hours of the Yukon Quest, listen to KNOM (780 AM, 96.1 FM) for updates at noon, and 5pm. Image at top: A sled dog team mushes along the trail near Eagle. Photo: Whitney McLaren, Yukon Quest; used with permission.